If I asked you to name some operating systems, what would you answer? You are likely to mention Microsoft Windows first. Or maybe the Apple macOS, or even iOS or Android. But Linux…the changes that you mention this operating system are considerably less. But did you know that if we count all the devices running some operating system, the Linux operating system runs on most of them and is therefore the most important operating system in the world. Particularly, this least known system provides the control of the largest number of computers and related devices. Linux runs on PCs, laptops, supercomputers, Internet of Things, Kodi video boxes, almost all internet servers, NAS devices and not to forget it is the basis for every Android phone. For many, Microsoft Windows is the standard when we talk about the operating system for a desktop or laptop computer. This is because most ready-made factory-assembled computers are pre-installed with Windows. For a smaller group, which I myself was part of for about 15 years, that is OS X from Apple. Both are basically good operating systems and they do what they have to do, but we can not ignore that they have some considerable issues or glitches as well. In addition, both macOS and Windows are relatively resource heavy systems that require powerful hardware on which they run and with every new version you deliver a bit of performance on your current hardware and in the long run you can no longer avoid a hardware upgrade. Both manufacturers are also increasingly busy with the integration of functionality to follow, steer and bind the user from a commercial perspective. Especially the latest Windows 10 is full of bloatware and tracking functionality. But fortunately there are very good alternatives that are completely free of these unwanted issues. Many people may have heard the name Linux, but have not paid any attention to it. Linux is, unlike OSX and Windows, an open source operating system for desktops, laptops and basically everything that can run an operating system. Open Source software is computer software whose source code is freely available and we all have the possibility to be a developer next to the user. This gives users the opportunity to study, adapt, improve and distribute the software. This created large global communities of user developers. But especially the development aspect and the ability to adjust everything yourself, unfortunately, scares many people and the Linux world is mistakenly seen as complex and inaccessible, only intended for techno nerds. However, that does not have to be that way at all. Linux and open source software can also be very user-friendly and also offers a fantastic alternative environment for real users who do not want to suffer from viruses, slower systems and the frequent purchase of faster hardware. This site wants to be a counterpart to the often technically oriented open source forums and websites where the average user has nothing to look for. And that is the primary reason for the existence of this website, since it will mainly focus on information for and by real users of software, so for people who just want to get something done with the help of their computer. It will focus on explaining the operation of the operating system, the installation, alternatives to the established office software, graphic software, backup software and much more. 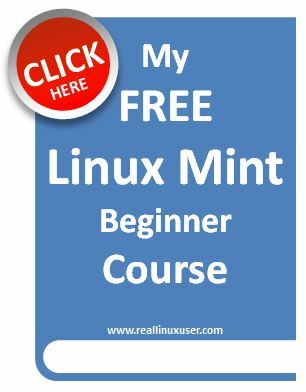 The website also offers a complete beginners tutorial to start with Linux: downloading, creating a USB stick or DVD, the installation, the operation and the device. I believe in freedom of choice for everyone and therefore want to offer information on alternatives in an accessible way via this website. Have fun reading the content of this website. I hope that it provides sufficient insight to make a switch interesting. Questions are welcome and I also like to receive improvements or proposals.